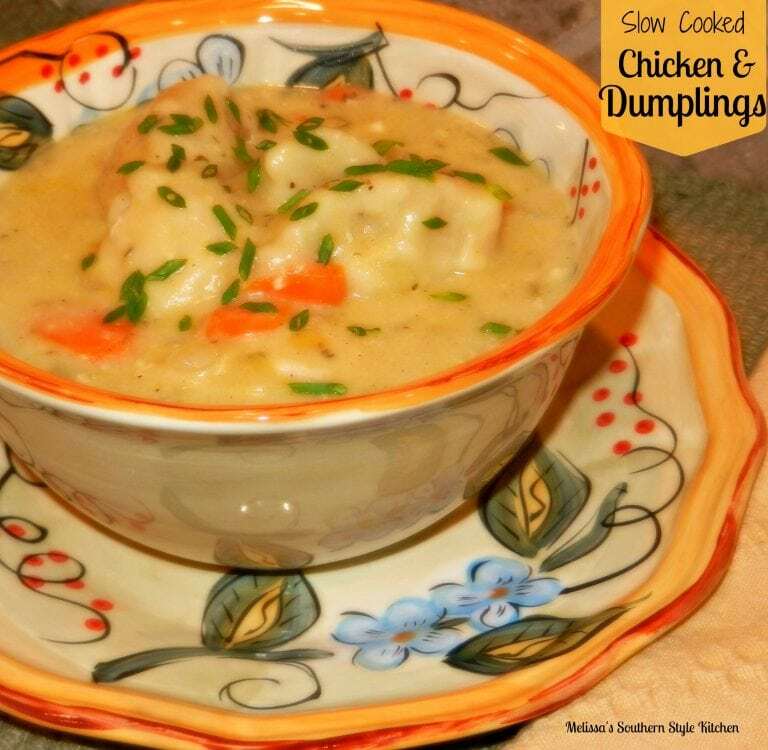 Slow Cooked Chicken and Dumplings - WCW Week 21 - Recipes That Crock! 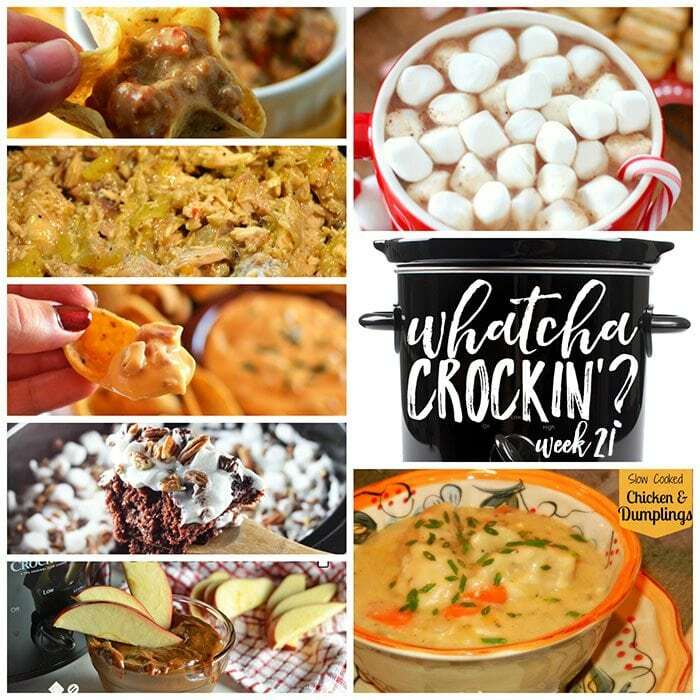 This week’s Whatcha Crockin’ crock pot recipes include Slow Cooked Chicken and Dumplings, Bacon Cheeseburger Crock Pot Dip, Rocky Road Chocolate Spoon Cake, Crock Pot Creamy Hot Chocolate, Slow Cooker Dulce de Leche Chocolate Dip, Slow Cooker Hot Ham and Cheese Dip, Crock Pot Italian Chicken and much more! Week TWENTY ONE of Whatcha Crockin’ link ups with our blogging friends has arrived! Leah, Liz and I are so thankful for all the bloggers that link up their delicious crock pot recipes each week. This week you we have some crock pot recipes you don’t want to miss from around the blogosphere. So let’s get crockin’! 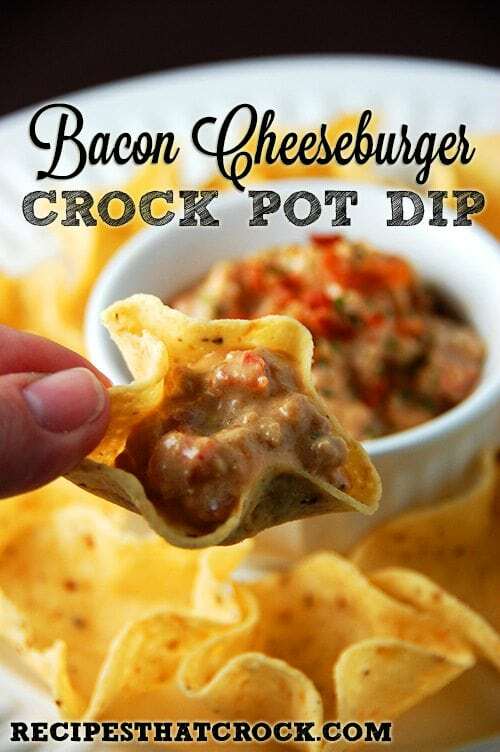 This Crock Pot Bacon Cheeseburger Dip is a long time favorite around these parts! 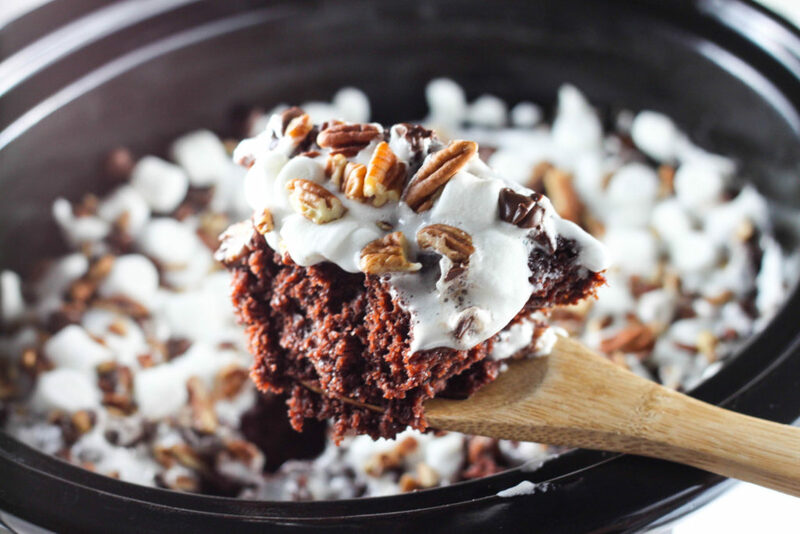 Liz shared Rocky Road Chocolate Spoon Cake over on The Farmwife Cooks. 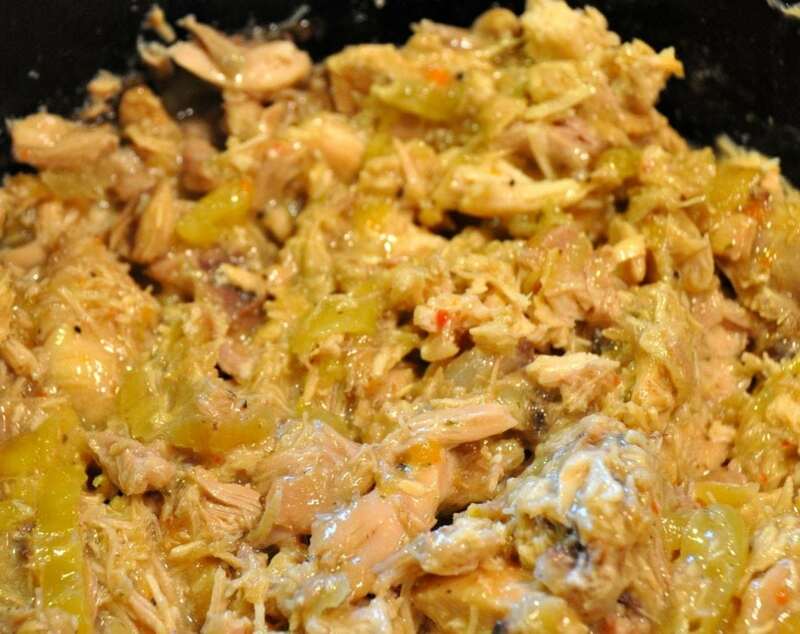 Leah shared Crock Pot Italian Chicken on Beyer Beware. Melissa’s Southern Style Kitchen has the post with the most clicks this week with her Slow Cooked Chicken and Dumplings! 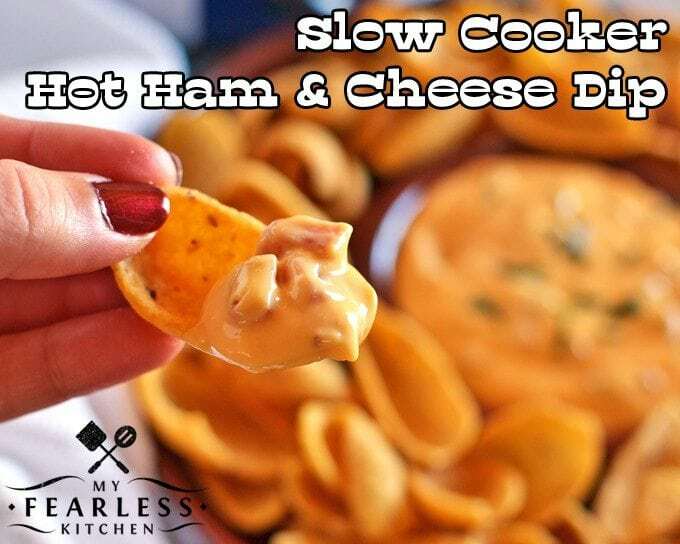 My Fearless Kitchen shared Slow Cooker Hot Ham and Cheese Dip. 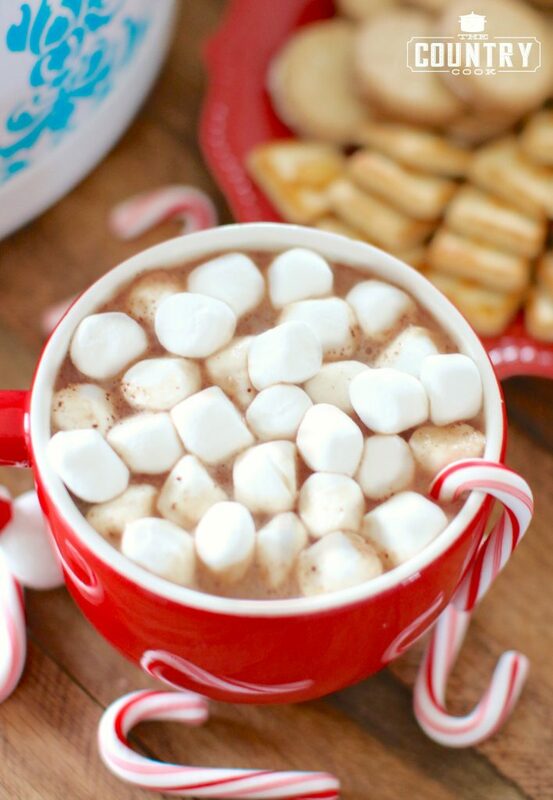 The Country Cook shared Crock Pot Creamy Hot Chocolate. 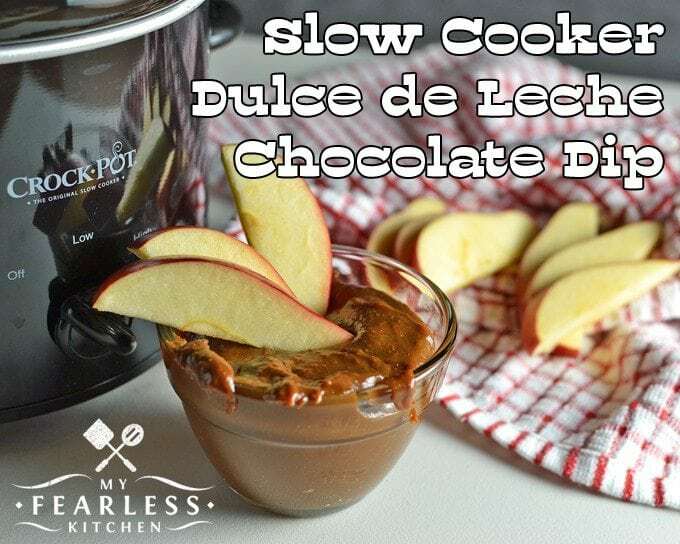 My Fearless Kitchen shared Slow Cooker Dulce de Leche Chocolate Dip. What are YOU crockin’ up this week? What a terrific lineup of YUM! Thanks for another great party…always so much to drool over here. I was thrilled to see the Dulce de Leche Chocolate Dip recipe. I am always searching for unique appetizers and desserts, since we do a monthly SUPPER CLUB. Thanks! ? Wish I could have a sample of everthing, it all looks so good! Hope you are having a great week and thanks so much for the party!